The Evening News on Huntley Community Radio is a show anchored by William and Michael Geheren. The show features local, regional, state and national news, weather, traffic, sports and a community calendar. The show is written by William and the MCC Interns. The show is produced by Michael Geheren. The news team includes: Kia Beveridge, Mary Sherman and Kim Howard. 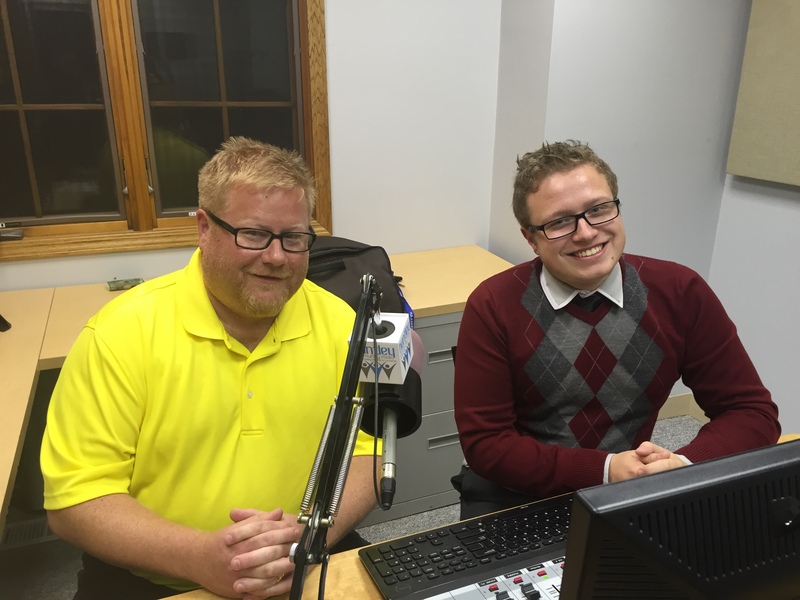 The Evening News airs weeknights at 6pm on 101.5 FM Huntley Community Radio. Michael is the news director at Huntley Community Radio. He has previously worked at for Tribune Publishing (The Mash), AOL’s Patch Network, The Huffington Post, USA TODAY and Scholastic News. He has interned at KELO-TV. Michael has been a contributor on WLS-TV, WBEZ-FM, KELO-TV and other stations. He is a Newseum Institute Free Spirit School, Illinois All-State Journalism Member and former Al Neuharth Scholar for Excellence in Journalism. Kia is excited to be a new member of our news team. She is a fill-in anchor and reporter for Huntley Community Radio news.